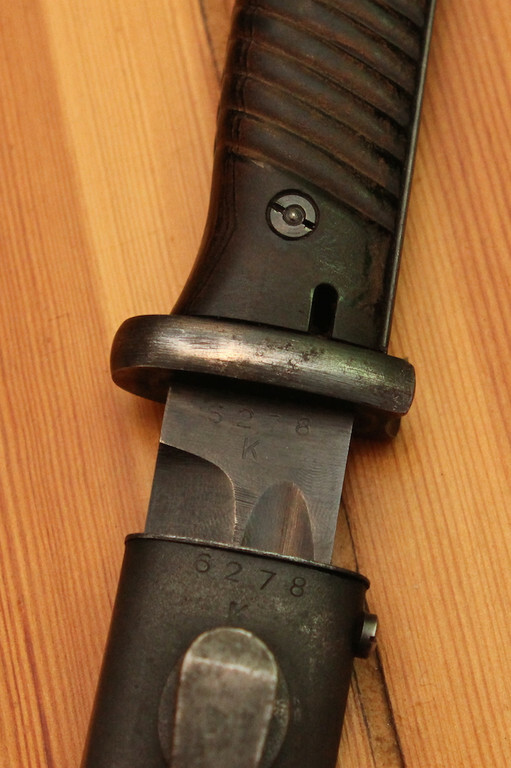 this is my second ffc - first one is 1941.. this one in 1944 - blued bayonet.. phosphated scabbard in great condition..
Great bayonet duv! 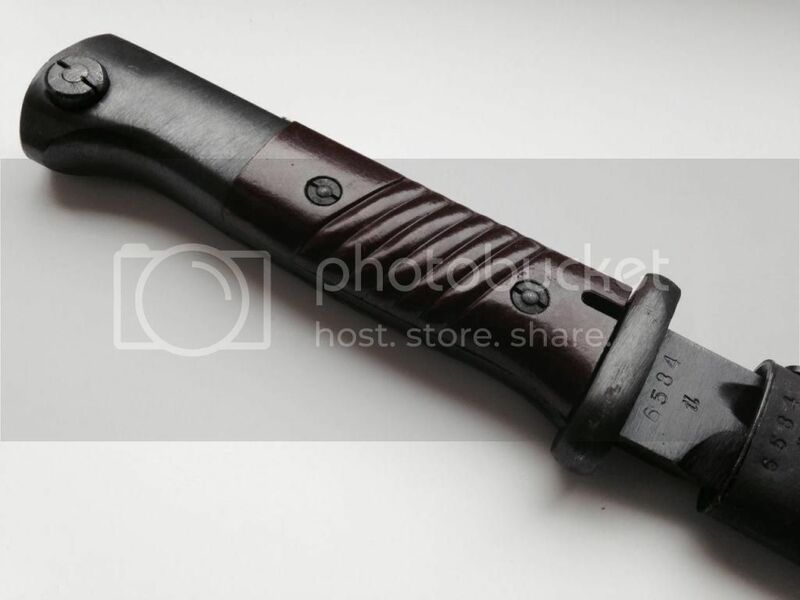 A rare one. 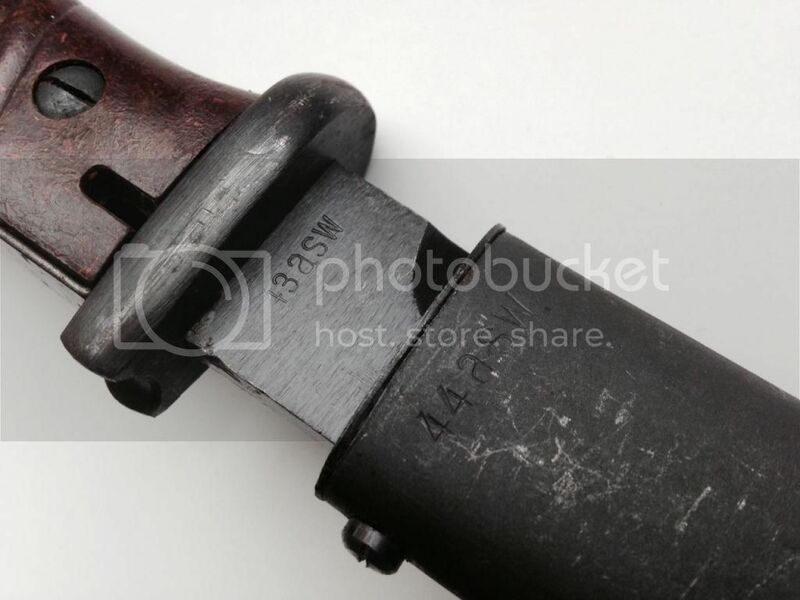 44 fnj (Alcoso) matching set. 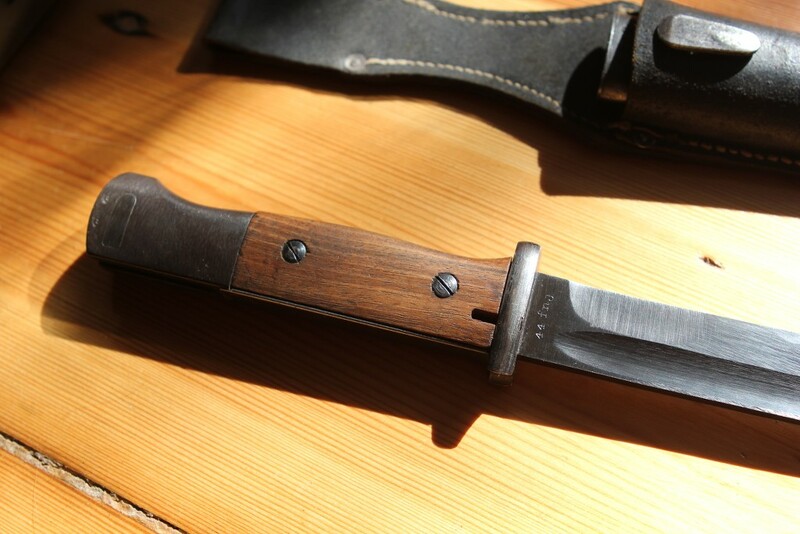 Bayonet with walnut grip. 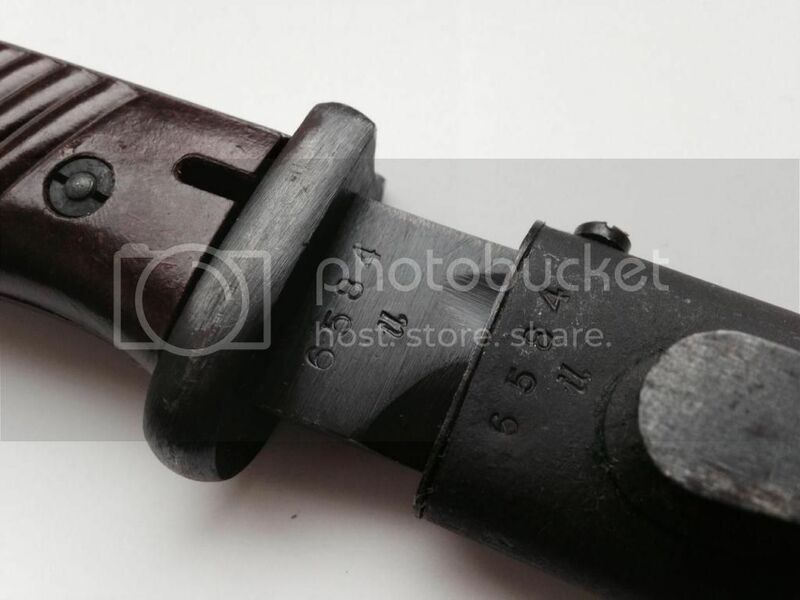 Collecting late war Heer militaria, Volkssturm and Erkennungsmarken (dogtags). 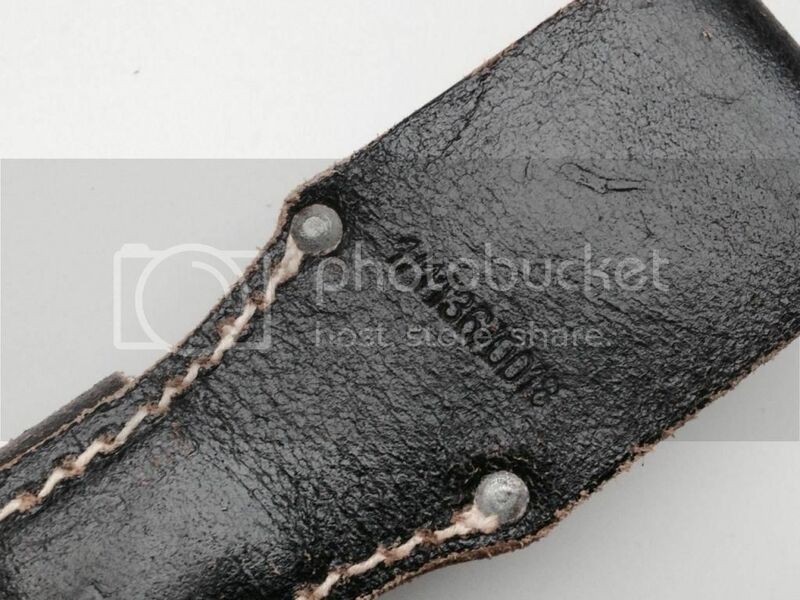 Always looking for M44 shoulder boards and original pictures showing M44 tunics. 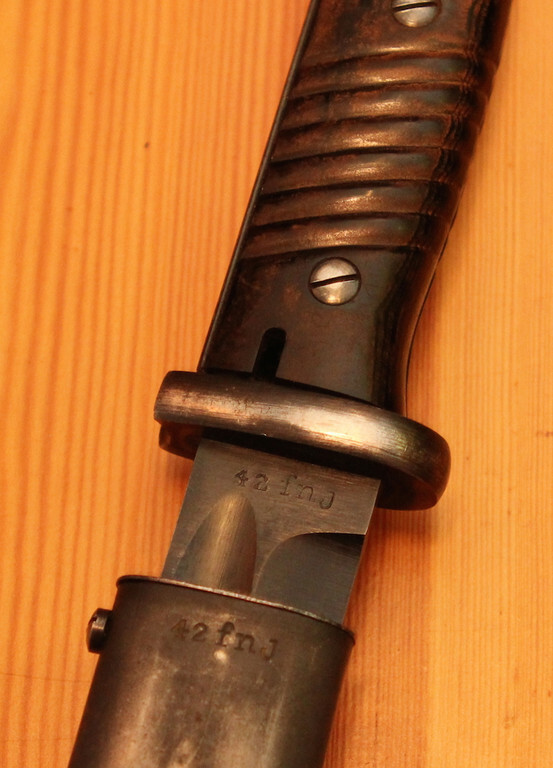 Its older sister: 42 fnj matching set. 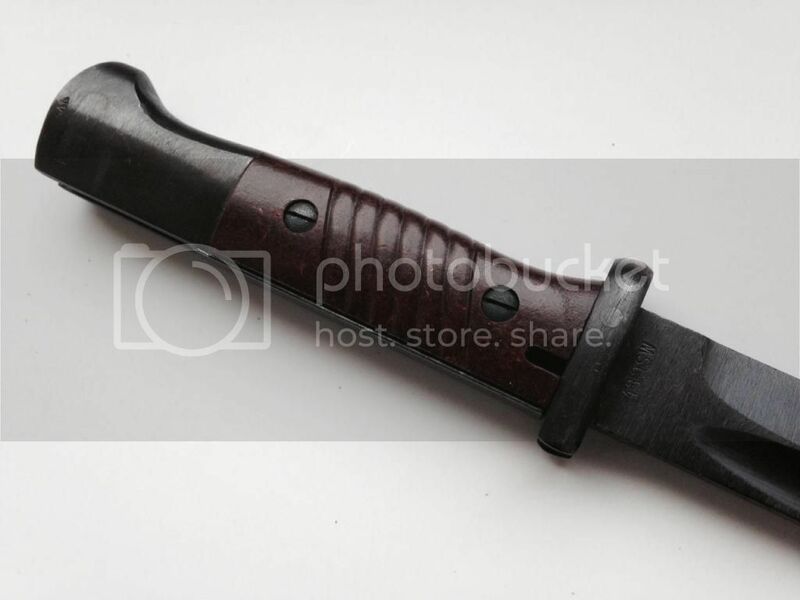 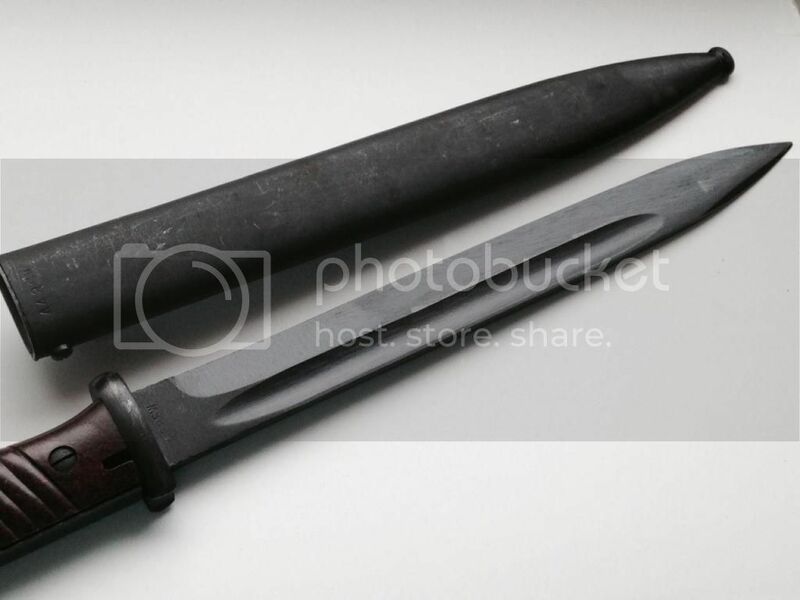 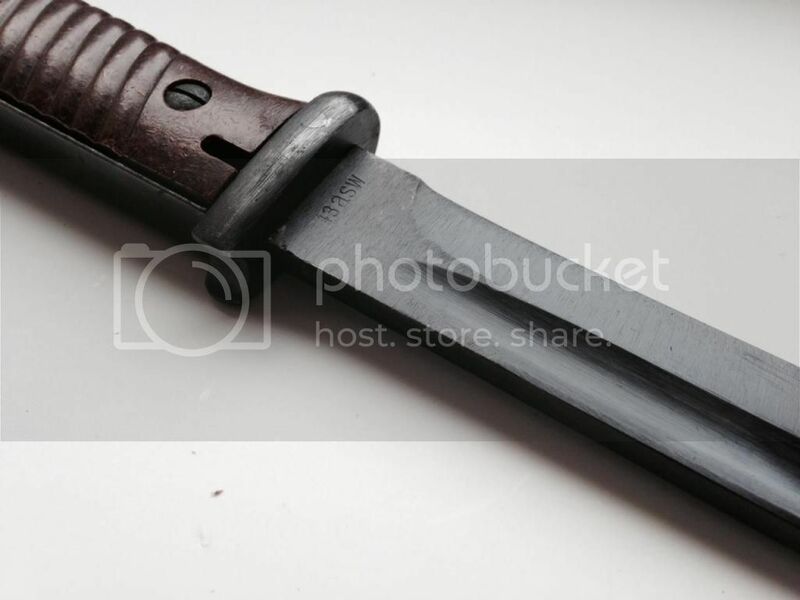 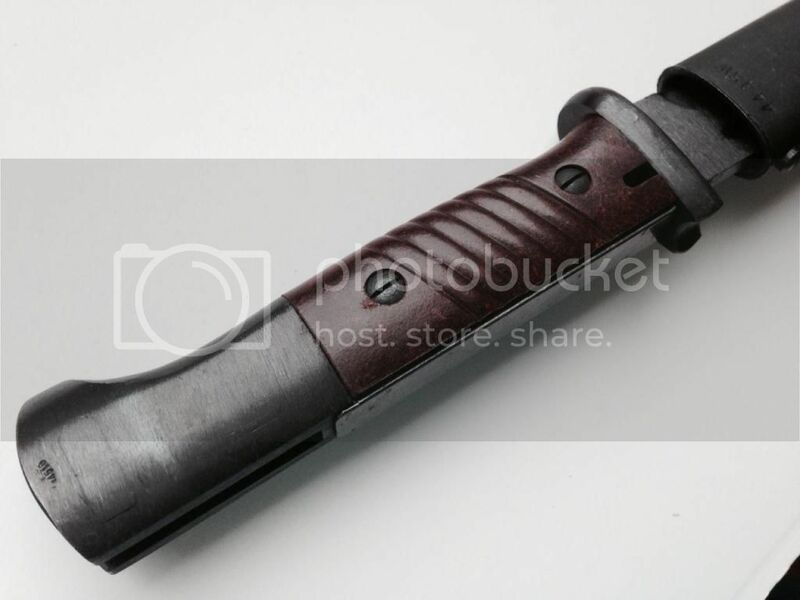 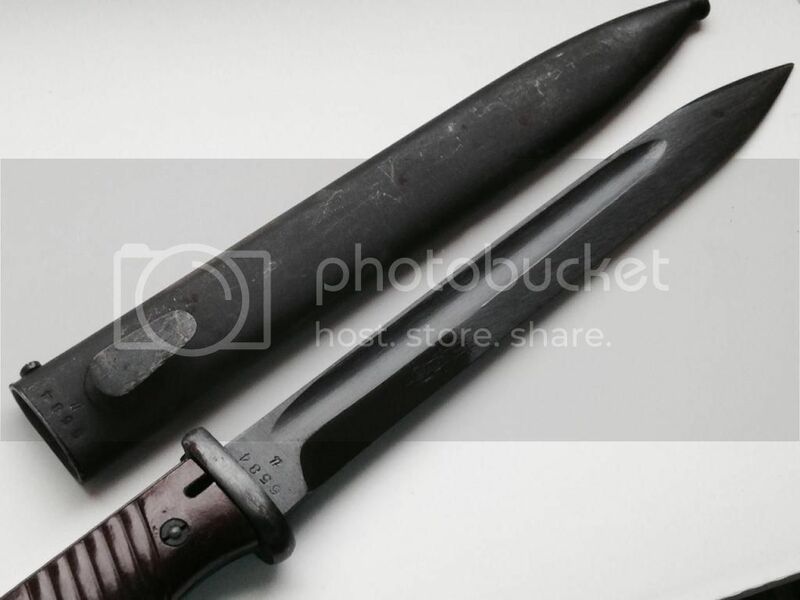 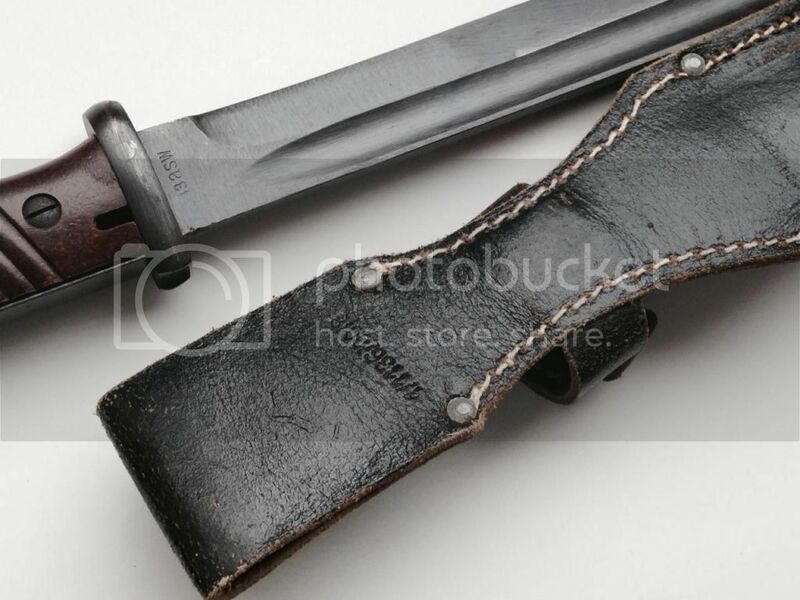 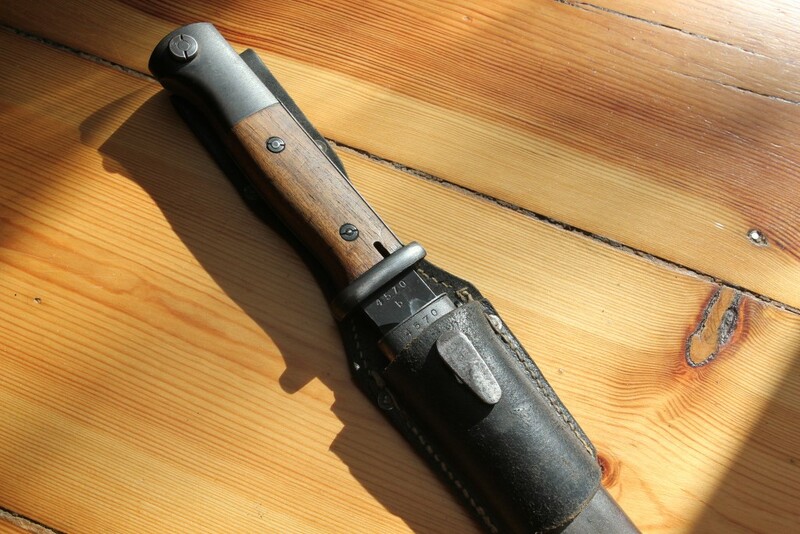 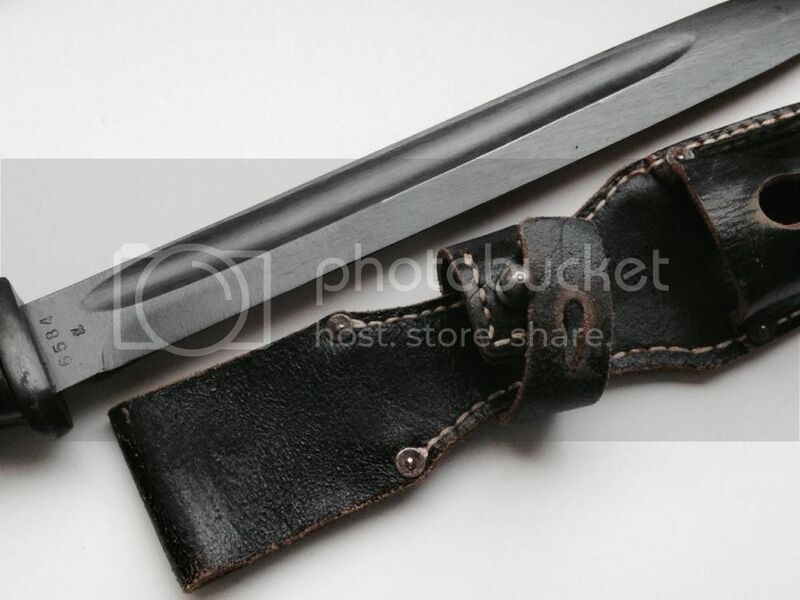 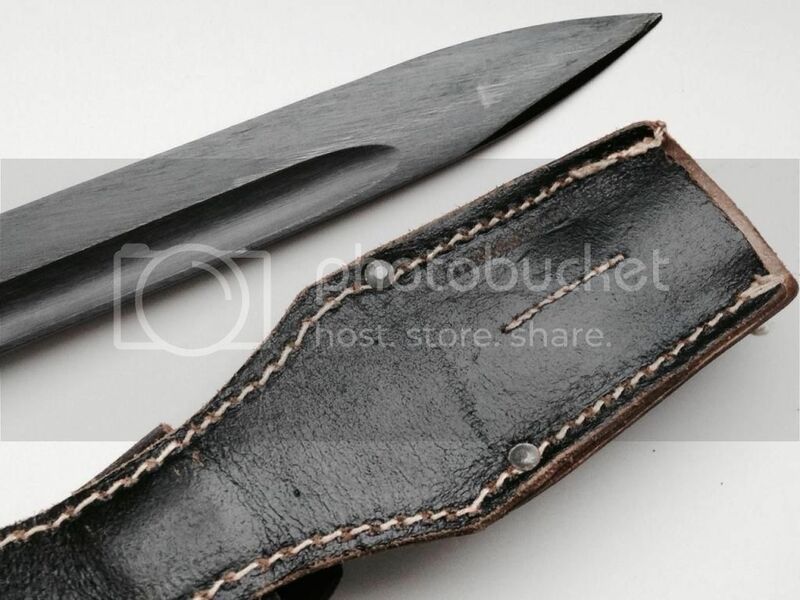 Bayonet with bakelite grip.